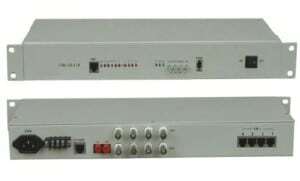 AN-ONT-4-1000 GPON ONT is one of the GPON optical network unit design to meet the requirement of the broadband access network. It apply in FTTH/FTTO to provide the data, video service based on the GPON network. Support VLAN tagged label processing, traffic classification and packet filtering, STP/RSTP etc. GPON is the latest generations of access network technology. ITU-T G.984 is the standard protocol of GPON. 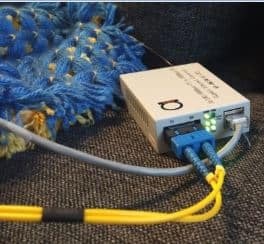 The GPON standard differs from other PON standards in that it achieves higher bandwidth and higher efficiency using larger, variable-length packets. GPON offers efficient packaging of user traffic, with frame segmentation allowing higher quality of service (QOS) for delay-sensitive voice and video communications traffic. GPON networks provides the reliability and performance expected for business services and provides an attractive way to deliver residential services. GPON enables Fiber To The Home (FTTH) deployments economically resulting to accelerated growth worldwide. AN-ONT-4-1000 provide four GE auto-adapting Ethernet ports. The AN-ONT-4-1000 features high-performance forwarding capabilities to ensure excellent experience with Internet and HD video services. Therefore, the AN-ONT-4-1000 provides a perfect terminal solution and future-oriented service supporting capabilities for FTTH deployment. It has good third-party compatibility to work with the third party OLT, such as Huawei/ZTE/Fiberhome/Alcatel-Lucen.